ATAIX is a cryptocurrency exchange that supports both crypto-to-crypto and fiat-to-crypto conversions. The platform seeks to ensure a secure and reliable environment for both trading and exchanging, as well as to provide traders with the best experience in dealing with digital money. 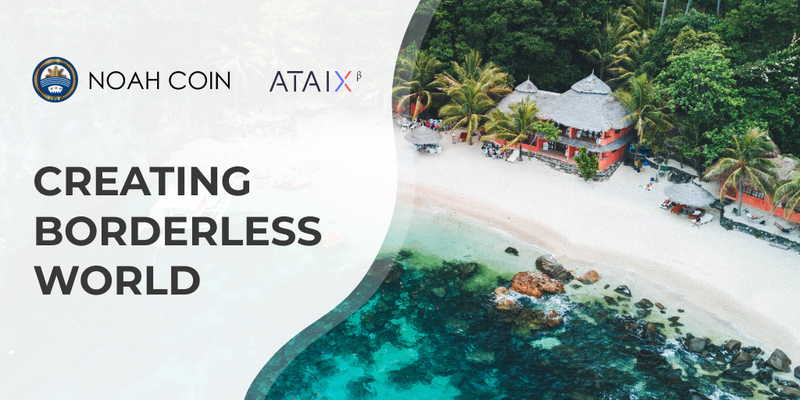 To make the transactions smoother and more convenient, ATAIX has developed an innovative One-Click Exchange tool, thanks to which exchanging becomes much easier, quicker, and safer. The Noah Project team feels the support of crypto community and does its best to gradually develop and expand their knowledge and expertise, as well as make smart and user-friendly solutions. For example, it created Noah Wallet, which is now available for both iOs and Android. As a result, crypto owners received a cool product allowing them to manage their virtual assets more efficiently. That’s not all. The Noah Project cooperates with PayRemit, the largest payment gateway in the Philippines. This partnership allows Noah Coin holders to buy different products and services at PayRemit stores with their Noah tokens. Besides, the team has recently been recognized as Blockchain project by the Philippines’ Department of Science and Technology, which came to Dakak to explore this innovation. This proves that the team is on the right way. The Noah Project confidently moves ahead, bringing its distinctive ideas to the table. It continues to gain support, attention and real-world adoption. Make a difference today and become a part of the hi-tech future with Noah right now! The Noah Project is aimed at bringing about social innovation through blockchain and making new technologies closer to people. Thanks to the Noah ecosystem, it will be available to employ various services and make use of all advantages provided by blockchain and cryptocurrencies. The Noah team is currently building the world’s first crypto hub called Noah City, a future crypto paradise Noah Resort, as well as developing blockchain-powered remittance solutions based on Noah Coin. To learn more about the Noah Project, get the latest news and communicate with the team, follow us on Facebook, Twitter and join our official Telegram chat. Welcome to the Noah world!